TurboTax Review: Is it the king of tax filing? TurboTax is the most popular tax preparation service in the U.S. The software is heavily relied upon for SMBs and personal tax returns. H&R Block Review: Does it provide the best support? H&R Block is very unique in that it not only provides software with live chat support, but you can also drop by one of their physical locations. TaxSlayer Review: Does it offer the best value? TaxSlayer has tremendous value. It is much cheaper than a lot of the competitors yet is not inferior in any significant way. TaxACT Review: Is it the working person’s tax service? While other tax prep services focus on features like audit defense and – TaxACT sticks to the basics. It is a very affordable service. Headway Themes Review: The best visual editor for WordPress? Headway is a standalone, parent theme platform for your WordPress blog or website. Our Headway Themes review breaks down all the finer details of this theme generator which is different from many of the other WP theme providers. Pagelines Review: Is this builder really a robust WordPress platform? Pagelines serves as a powerful marketing and design platform for Wordpress blogs and websites. Our Paglines review looks at the pros and cons of the site. Mojo Themes Review: A true marketplace for new themes? Mojo Themes is advertised as a “true buy and sell marketplace” for themes and website templates. Mojo is recognized for offering budget options as some of their themes start as low as $5. Obox Review: Is it the best choice for personal bloggers? Obox is a lesser known design studio that provides WordPress themes and plugins for users. The themes are built for a variety of purposes, with a niche in SMB, news, and entertainment websites. DIYThemes Review: The new approach to WP themes? DIYThemes is a unique source for developing the pages on your WordPress site as well as assisting with SEO optimization. It works under Thesis 2.0 and Focus. Themify Review: The most affordable WordPress theme provider? Themify develops stylish themes and plugins for the WordPress. Our Themify review dives into what makes their selection comparable as well as different from other WP themes. Elegant Themes Review: Does the Divi Framework make this the best place for WordPress themes? If you ask any expert about where to find the best WP themes chances are they will mention Elegant Themes, if not immediately point you toward the service. StudioPress Review: The best in WordPress customization with Genesis? StudioPress has a stellar reputation with WordPress. The WP templates were built upon Genesis Framework, which has gained StudioPress a lot of notoriety. ThemeForest Review: Can anyone match their WordPress theme selection? ThemeForest is a marketplace for WordPress themes, HTML templates, and other designs. It is well regarded for having one of the highest selections of highly functional WP themes. iThemes Review: The best WordPress option for small business? iThemes has established a reputation for being of the top resources for high quality, premium WP themes. However, iThemes is not just limited to blog themes as they also develop effective templates for small businesses as well. ThreadBeast Review: Trend-setting clothing subscription brand. ThreadBeast offers casual, hip streetwear for men and boys who want to dress comfortably but look better. The Los Angeles-based company features influential and trend-setting brands and includes accessories along with tops and pants. Menlo Club Review: Is This A Man’s Solution For Effortless Style? Men who are seeking an effortlessly stylish casual wardrobe, but who don’t like to shop or don’t have the time for it should seek out Menlo Club. Bombfell Review: The Best -High-End Clothing Box for Men? Bombfell was created by two men who thought they lacked style when they graduated from college and wanted to look more professional. Bombfell chooses the right clothes for you. The Vimeo Pro Plan has been specifically designed for business use and is the perfect platform for creative professionals to showcase their talents. Here is a breakdown of 10 of the best features Vimeo Pro includes. QuickBooks Review: What makes it the best accounting software? There is little debate among small business owners. The premiere, undoubtedly number one option for accounting software is QuickBooks. The accounting software has been around since the 1980’s and continues to rank number one thanks to its flexibility and depth of features. Xero Review: Is it the most helpful accounting software? Xero is advertised as an online accounting software program that helps boost efficiency with time-saving tools. Xero helps entrepreneurs grow their business by spending less time on accounting. ZipBooks Review: How does this newcomer stack up to the competition? ZipBooks is another online accounting software subscription service that provides a few different ways to track inventory, handle invoices, accept payments and deal with payroll. FreshBooks Review: Ridiculously easy to use accounting software. FreshBooks is arguably the easiest to use of all the top rated online accounting software. The user experience is exceptional and nothing is too complex to understand. Wave Apps Review: Is free better for online accounting? The motto of Wave Apps is “easy, fast, truly free”. Wave Apps allows small business owners to connect bank accounts, sync expenses, balance books and prepare for tax season. 24-7 Press Release will help get your business’s news in front of journalists of both traditional and online media outlets. Although the company’s focus is on press release distribution for small and medium-sized businesses, 24-7 Press Release works with big names too. eReleases focuses on meeting the needs of small to medium-sized businesses and organizations. The company strives to help these businesses get their press releases in front of journalists. PRWeb, a service of Cision, is press release distribution software which provides you with the necessary tools to get your release noticed. This reputable company has been around for over 20 years. Blue Apron Review: Is it a complete all-in-one meal? Blue Apron doesn’t just send you the ingredients for a great meal – you can order everything you need to go with it, too, from a vegetable peeler to a bottle of wine. Dinnerly Review: Is it the cheapest food subscription? Dinnerly is the least expensive of all the meal kit delivery services, at just $4.99 per serving for six-ingredient meals that can be prepared in 30 minutes. Freshly Review: Is it the healthiest food subscription? Eating a balanced, healthy diet isn’t the easiest thing to do when so much junk food is ready to grab and go. But Freshly takes all the hassle out of eating a healthy dinner in almost no time at all. Gobble Review: Food in 15 minutes or less. With so many meal kit delivery services to choose from, how does one stand out? Gobble does by making sure their meals can be made in 15 minutes or less without skimping on high-quality ingredients. Green Chef Review: A sustainable, environmentally-conscious food source. Green isn’t just a name, it’s the philosophy behind Green Chef. From sustainable sourced organic foods to recycled and recyclable packaging, Green Chef makes the effort to not just deliver ingredients for healthy meals to your doorstep, but to care for the environment in the process. Hello Fresh Review: Does it taste like home cooking? Hello Fresh aims to set you on the right track with healthy, home-cooked meals that focus on high-quality ingredients. Home Chef Review: Is the food subscription a daily meal provider? Home Chef is the answer to the problem of still needing to meal plan and grocery shop for breakfast and lunch. They offer full dinners, no-cook lunches, and smoothies and fresh fruit. It is one-stop shopping for a full day’s worth of meals and snacks. Martha and Marley Spoon Review: Cook like the home lifestyle legend. If you’ve ever flipped through a Martha Stewart magazine and wished you could cook like her, now you can with Martha & Marley Spoon. Plated Review: Save money and get high quality meals delivered. With Plated, rather than order a pepperoni pizza for delivery, you can make a prosciutto balsamic pizza at home in about the same amount of time. Sun Basket Review: The best organic, health-conscious food subscription? Sun Basket provides healthy meals using organic ingredients for a variety of special diets, from paleo to Mediterranean to vegan. Gravity Forms Review: A simple but effective plug-in for WP. All Word Press users out there, are you looking for a fast, efficient, and simple way to produce professional forms for your website? Look no further, there is a way with Gravity Forms. Ninja Forms Review: Is it a simple to use WP plugin? Ninja Forms is a fantastic WordPress plugin in that it possesses a design that is clean and simple. WPForms Review: How does it rank with other form builders? WPForms allows you to set up any kind of form for visitors to your site, from a basic “Contact Me” page to accepting payments, creating polls, and building mailing lists. WuFoo Review: A seamless drag-n-drop form builder. Wufoo is an online form builder designed to make creation effortless with the ability to construct forms without coding as well as collect payments from your customers. Trunk Club Review: Shopping from the comfort of your home. Trunk Club delivers all the familiar brands you’ll find in Nordstrom – and all the sizes you’d find in the store, too, including several petite and plus-size brands. ThirdLove Review: A risk-free bra solution. ThirdLove is on a mission to put all women into a properly fitting bra. They offer risk-free bra shopping from the comfort of home, with a try-before-you-buy program to make sure the bra fits perfectly before you pay for it. Stitch Fix Review: Can you really try on clothes for free? If you want to try out some trendy new clothes but don’t have the time or desire to shop, Stitch Fix is the service for you. ShoeDazzle Review: The best online clothing subscription for bargains? ShoeDazzle offers a huge selection of shoes, handbags, and other accessories at bargain prices that any shopper will love. Rent the Runway Review: Can you really rent designer clothing? Women who love fashion love Rent the Runway. It puts the high-end brands and designer labels from the runways and magazines directly into your closet. Le Tote Review: How does it stack up to other bargain clothing subscriptions? If you’ve looked through your closet and wished you had more variety in your wardrobe but don’t want to spend a lot of money for it then Le Tote clothing rental service might be for you. Frank and Oak: Does their “style plan” replace online shopping? Trend and Oak offer trendy wardrobe basics for men and women. The popular retail store now has a style plan so you can try out new outfits and pieces to see how they fit into your current wardrobe. Fabletics Review: The best subscription of workout clothes? Why take time away from your workout to shop for workout clothes? Fabletics offers stylish clothing with fun colors and bold patterns for the gym, for a run, and for just hanging around. iDrive Review: Does unlimited storage + unlimited devices = unlimited awesome? IDrive is an online backup service available to Windows, Mac, iOS, and Android. With IDrive, backup an entire drive including OS, settings, programs, and files/folders. Acronis True Image Review: Is this one of the best backup options? True Image, their data, and computer imaging product is the fastest, most powerful backup solution on the market. They develop onsite and cloud backup, disaster recovery, and secure file sync. Backblaze Review: Is this low-cost, simple cloud storage a good option? Backblaze is a leader, if not the standard, in the data storage/backup game. They offer two products: B2 Cloud Storage and Computer Backup. ‘B2 Cloud Storage’ stores and backups your data on a cloud for a fraction of the cost of its competitors. Carbonite Review – Can you just ‘set it and forget it’ with this backup storage? Carbonite is a no-frills, disaster recovery, backup service. Carbonite backs up your documents, music, email, browser bookmarks and financial data. SOS Online Backup Review: Is this unknown brand a good option for your backup needs? SOS Online Backup has been providing backing up user data since 2001. SOS is sure to wow with its impressive backup and recovery speeds. Mozy Review: Will this simple software be all you need for consistent online backup? Norton Online Backup Review: Is this household antivirus name as good as the top backup software brands? Norton Security is a household name. They are the cornerstone of the data security market for years. Norton Online Backup promises to do the same by backing up your files to the cloud. FormStack Review: Is it the simplest to use? FormStack is an online platform which allows you to collect data through its numerous digital forms, such as email subscriptions, event registrations, questionnaires, order forms and more. Gold Medal Wine Club Review: A fun, old-school type of club. Gold Medal Wine Club is more of an old school wine club, focused on providing you with a few high-quality wines a month rather than serving as your sole resource for wine. Winecrasher Review: Guaranteed high quality international wine. Winecrasher guarantees high-quality international wines at the lowest prices, but there’s a bit of a catch… you don’t know the wine name and label until AFTER your purchase. Plonk Wine Club Review: The best value for rare wine? Plonk Wine Club focuses on providing members with rare and boutique wines from around the world, sourced from wineries in California, Europe, South America and other wine growing regions. Cellars Wine Club Review: The best wine club with a reputation? Since 1999, Cellars Wine Club has been providing a wide range of wines to every type of wine-o. Cellars has options for every budget, taste and wine experience level. Bright Cellars Wine Club Review: How does it stack up to the other clubs? Bright Cellars Wine Club caters each shipment to your palate preferences, bringing customized wines you’re guaranteed to love to your doorstep every month. Vine Oh Review: A surprise in every delivery. Vine Oh provides you with “sips and surprises,” meaning wine isn’t the only thing you get with each box. VINEBOX Review: Is it the best way to sample new wines? VINEBOX definitely isn’t your typical wine club. With the concept of sipping glasses of wine instead of bottles, VINEBOX serves as your personal tasting room. Wine Down Box Review: How can you go wrong with wine and cheese? The Wine Down Box includes one bottle of wine, cheese, salami and crackers shipped on a monthly basis. Winestyr Review: Caters to unique, little known wine makers. Winestyr’s experts taste every single wine they offer to bring the best small-production wines in the U.S. to your front door. Wired for Wine Review: How the online wine outlet compare? Wired for Wine is primarily an online shop which sells wine, spirits, accessories and engraving services at discounted prices. However, they do offer a 90+ Wine Club which provides premium wines at great prices. Avast Review: The very best in free antivirus software. Avast is quite possibly the best free antivirus software available. It routinely performs well in independent tests with a well rounded amount of protection and defense against all the latest security threats. Iolo System Mechanic Review: Can it restore PC to original speed and performance? Iolo System Mechanic is designed for the specific purpose of cleaning up your PC and getting it back to maximum power and performance. GlassWire Review: A third-party firewall for advanced users. While Windows Firewall does a good job of keeping the bad guys out, some prefer a third-party Firewall like GlassWire for added security. F-Secure Review: Is it the best defense against malware? F-Secure is a very well rounded antivirus software provider. The software has an especially strong reputation as offering exceptional defense against malicious URLs and dangerous malware. ESET Review: Is it the best international antivirus software? ESET is a very sound antivirus software provider. It is hard to argue with a company that has been doing it for over three decades now, and their malware and ransomware security remains among the best in the industry. BullGuard Review: How does triple-layer protection stack up to the rest? BullGuard is modestly priced which makes it attractive to some of the more expensive antivirus software programs such as Norton and VIPRE. Bitdefender Review: The antivirus program no one talks about. Bitdefender is a quality antivirus software provider. Since the turn of the century, Bitdefender has provided a competitive computer security alternative to some of the more well known antivirus software companies on the market. Avira Review: Is the free antivirus too good to be true? Avira antivirus is largely recognized for its extensive free version. Avira has also done exceptionally well in independent studies, so its value is nearly unmatched. AVG Review: How does it stack up to other free antivirus? AVG is a popular free antivirus software provider that is compatible with Windows, Mac, iOS and Android devices, and features unlimited number of downloads if you upgrade to its paid version. VIPRE Review: Is the antivirus software the most underrated? VIPRE is one of the best antivirus software platforms around. The advanced security scans everything from malware and ransomware, email viruses and phishing attempts. Trend Micro Review: A good performer in independent tests. Trend Micro is a well reputed antivirus provider that is designed to protect servers, cloud computing environments, home PCs and Macs as well as mobile devices. Panda Security Review: The cloud-based antivirus experience. Panda Security is considered a cloud-based security system because the files are scanned on a remote server without using processing power from the recipient’s computer or mobile device. 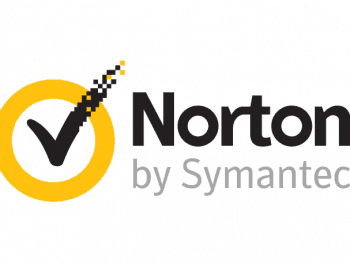 Norton by Symantec Review: Is the antivirus worth the higher cost? Norton by Symantec continues to offer a wide range of antivirus protection, whether for a home or business. They have one of the best reputations in the industry with a reported 43 million users. MacKeeper Review: Is the Mac antivirus really necessary? Some argue if MacKeeper is really necessary, as Apple devices are generally regarded for having enough safeguards already built into their devices to avoid most malware attacks. Kaspersky Review: An underdog worth considering. 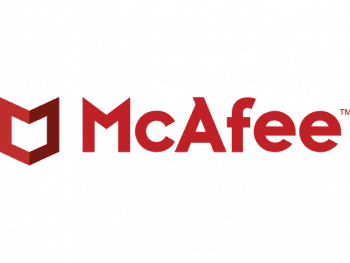 Kaspersky may not be a household name like Norton, Panda Security, McAfee and VIPRE yet the antivirus software consistently ranks among the elite in terms of performance. Duda Website Builder Review: The most mobile-friendly web builder? Duda is a website builder originally founded by programmers who foresaw the impact that the advent of the iPhone would have on web browsing. Weebly Website Builder Review: Is it the most user-friendly web builder? Weebly is one great choice to consider for potential designers looking for a powerful, user-friendly, cost-effective web-design option. Webs Website Building Review: A web builder with a great reputation. Webs is known as being a good tool for small businesses and entrepreneurs seeking to create their own websites. Yola Web Builder Review: The perfect starter website platform? Yola is a great website builder that offers would-be designers an intuitive, user-friendly way to create professional looking websites. Site 123 Web Builder Review: An easy to understand web builder. Site 123 is a great website builder that offers an easy, efficient solution for those looking to create an appealing, well-designed website without the headache of obtaining extensive technological knowledge to do so. Sitey Web Builder Review: A new web builder that has it all? Sitey is relatively new, popular web building service with the motto, “We’ve thought of everything.” And it seems that they’ve done a very good job of doing just that. The Logo Company Review: Just how fast is the service? The Logo Company will provide you with a custom professional logo in just three days, with five different designers working to create your unique and high-quality design. Vistaprint Review: How does it stack up to the rest? Vistaprint serves as a one-stop shop for all of your business needs, offering a wide variety of custom products, digital services and design services. Shutterfly Review: Put a photo on almost anything. Shutterfly offers a huge variety of personalized photos gifts, keepsakes and products. The company focuses on sharing and documenting memories in a unique way through allowing you to put photos on almost any product you can think of. MOO Review: A modern and sleek design for online printing. MOO provides a variety of print marketing materials and other printed products for your business. Compared to other online printing companies, MOO offers very modern and sleek designs. PsPrint Review: A one-stop shop for online printing. PsPrint focuses on small businesses, designers and consumers, serving as your one-stop shop for printing promotional items and more. Printing for Less Review: A risk-free online printing option. Printing for Less strives to focus on excellent customer service through personable support and great communication. ﻿PrintPlace Review: Is it the most affordable online printing provider? PrintPlace provides a wide range of print products with a focus on the church, political, school, restaurant and trade show industries. Stencil Review: Ridiculously simple and fast, but will it increase social engagement? Stencil focuses on increasing small businesses’ social media engagement through compelling images. Stencil’s services are also useful in creating images for other content marketing strategies, such as emails and articles. LogoGarden Review: Automated logos made in minutes, but are they quality? LogoGarden prides itself on being able to offer you quality custom logos in minutes rather than days through a do-it-yourself approach. 99designs Review: Is crowdsourcing the future of freelance design? 99designs provides both businesses and individuals with a community of professional freelance designers from all over the globe to complete a variety of designs. Rather than having its own team of designers, Crowdspring’s business model takes a freelancer approach by opening up projects to over 200,000 designers from around the world. Drip Review: Is the new kid on the block effective? Drip is fairly new to the email marketing scene, entering the market in 2013. Despite its young age, many consider Drip to be a lead email marketing platform with its advanced marketing automation tools. ONTRAPORT Review: Is it the most underrated email marketing platform? Although not a very well known email marketing platform, ONTRAPORT brings powerful marketing tools together in one spot. Mad Mimi Review: The best email marketing for small business? Although Mad Mimi is designed for businesses of all sizes, its basic platform and limited features make it an ideal email marketing option for small businesses. Mailigen Review: An all-in-one email marketing platform. Great for businesses of all sizes, Mailigen combines all aspects of digital marketing through email, social media, web and even text message. Podia has only been around since 2014, yet in a few short years it has quickly emerged as one of the leading online course software providers. Kajabi Review: Is this online course software worth the high price? Kajabi has fallen a little under the radar when compared to Podia and Thinkific, yet offers an interesting pricing structure as well as plenty of tools to get your digital products into consumer hands. Wix Website Builder Review: Is it truly the best web builder available? Wix offers many excellent features, including online storage for site assets, video backgrounds, title animations, and mobile apps. It also has great blogging and commerce features, and is accessible to novices and programmers alike. Canva Review: Is it a multi-faceted online printing provider? Canva allows you to create compelling designs for all aspects of print, online and social media marketing. Teachable Review: The clear leader in online course software? The online course software platform is widely hailed for its ability to offer a simple, easy to use software program for teachers that have the intention of creating and selling their course online. Thinkific Review: Robust features worth the extra cost? Thinkific is one part resource for education and one part resource for business owners. It is not strictly limited to academia, as many entrepreneurs have utilized Thinkific in order to present their employees with online courses to help expand the overall efficiency of their company. Wix Ecommerce Review: How does the simple online store stack up to the best? Wix Ecommerce gets an A+ for its simplicity. It is definitely one of the easiest website builders on the web. The drag and drop interface requires little to no experience with previous web development as it skips the complicated HTML and other coding that merchants used to have to rely on if they wanted to expand their services to the Internet. Weebly Ecommerce Review: Is this well-known “drag-and-drop” editor worth your time? Weebly Ecommerce is very fitting for small business owners or merchants that cater to selling non-traditional goods such as video, music, ebook or other downloads. There are a number of reasons why Volusion is highly regarded among business owners with perhaps the primary reason being that Volusion does not charge transaction fees. Shopify Review: One of the easiest ecommerce platforms? Regarded by many as one of the easiest to use of all ecommerce providers, not to mention reasonable rates for merchants large and small — Shopify aims to produce a hassle free experience. BigCommerce is one of the leaders in ecommerce software as it has serviced business owners in over 150 countries whether they do hundreds of dollars in revenue each month, or tens of millions. 3dcart Review: Should we rank it with the best? 3dcart may not have the popularity of other ecommerce software providers such as BigCommerce, Shopify and GoDaddy Ecommerce yet it is a dependable, affordable and quality option. Boost Mobile Review: Fairly priced but not the fastest network. Boost Mobile is marketed as a “pay as you go” wireless service. Unlike major networks that require a contract with harsh penalties if you back out of the agreement early, Boost Mobile has no obligations. Straight Talk Review: Is Walmart’s version of prepaid wireless for you? Straight Talk is one of the most well known prepaid providers likely because it is sold through Walmart. It stacks up well to Walmart Family Mobile (another Tracfone offshoot) though at slightly higher rates. AT&T Wireless Review: Is it the best mobile phone plan? AT&T is one of the wireless leaders for a big reason. It performs exceptionally well in some of the most crowded places in America and features a no-holds unlimited experience with live TV and high quality video streaming. Republic Wireless Review: The perfect Wi-Fi phone plan for college students? Republic operates as a low-cost, Wi-Fi service that works by first attempting to connect to Wi-Fi before defaulting to either Sprint or T-Mobile when Wi-Fi is not available. Tracfone Review: the best option for limited cell phone users? Tracfone is a terrific prepaid option for those that don’t use their cellphone frequently. The purpose of the service is to provide a wireless phone and text option for those that would like something in the event of an emergency or otherwise limited talking. MetroPCS Review: Is it the best prepaid mobile phone plan available? MetroPCS has one of the longest, not to mention strongest reputations of any prepaid, low-cost carrier on the globe. Users of MetroPCS gain access to one of the highest performing networks in the United States. GoDaddy Ecommerce: Is it the easiest-to-use website builder? GoDaddy Ecommerce is the first to create a really easy to use web builder thanks to the ADI. While it may not be suitable for larger merchants due to the lack of customization — it is extremely ideal for small businesses. Cricket Wireless Review: Affordable prepaid option with AT&T Service. Along with the affordability of Cricket’s wireless plans, the service also is well regarded because of its partnership with AT&T. Unlike other MVNO providers (Tracfone, Net10, Straight Talk, etc), Cricket does not roam for various networks but is rather exclusive to AT&T. Google’s Project Fi Review: Is Wi-Fi based carriers the future of mobile phone plans? Project Fi is an extremely cheap service yet dependent on Wi-Fi in order to maximize its service. It automatically connects to Wi-Fi hotspots with data encryption through an automatic VPN. T-Mobile Review: Is it the best carrier in big cities? T-Mobile has a reputation for having one of the fastest networks around, especially in high volume metropolitan areas. It is impressive consider how many people are competing for network quality in larger cities. While Sprint has fantastic prices, it is also regarded as a provider that lacks the same performance as Verizon and AT&T. Blurb Review: Is it the best solution for authors? Blurb offers high-quality, professional design and print services for multiple types of books, including family photo books, comic books, cookbooks, children’s books, portfolios and more. LiveDrive Review: Cloud service that keeps it live but only if you do. Livedrive is a UK based online cloud backup service that backs up your photos, documents, music, and videos. SugarSync Review: Back up that’s not as sweet as candy, but darn close. SugarSync is a cloud storage service that boasts active integration of files across computers and mobile devices for file backup, access, syncing, and sharing. Campaigner’s email marketing platform includes an extensive list of tools to grow your business through email campaigns. Its large library of email templates, advanced reporting, simple contact management tool and ability to segment large lists are a few features that are particularly favorable among users. Started in 2012 as “Club W,” Winc brands itself as “The Netflix of Wine.” It’s reasonably affordable, yet still provides excellent wines catered to your palate and delivered through quality service. Namecheap originally came on to the web hosting scene as a low-cost provider, hence the use of the word “cheap” in the company name. But don’t be fooled, as the company offers a seriously competitive feature set including SSD hard drives in servers along with free domains. 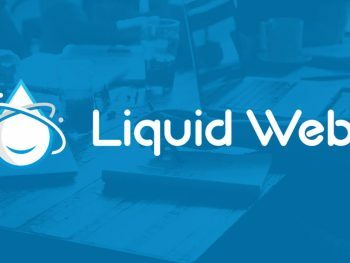 Liquid Web offers a wide range of cloud, reseller, dedicated, virtual private server, and WordPress server packages. 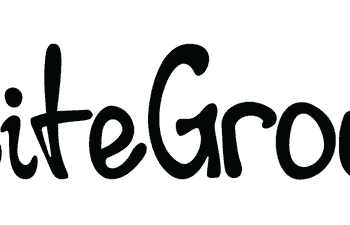 SiteGround also includes features such as WordPress staging environments, pre-installed, Git and WP-CLI for easy command line management options, PCI compliance for e-shops, and 1 year Wildcard SSL for free. 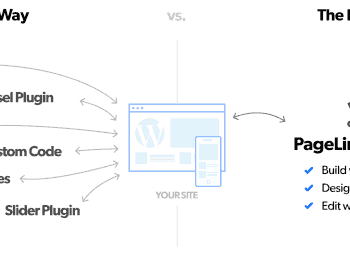 WP Engine offers four WordPress hosting plans, all of which include unlimited monthly data transfers, automatic backups each day, and malware scanning. GoDaddy offers a 99.9% guaranteed uptime rate, and plans that customers can choose from typically range from approximately $4 to $14. Bluehost offers a number of premium web hosting services at a competitive price and their overall value is high among their peers at all price points. With a 99.9% uptime guarantee, HostGator is a sound, smart, solid choice for a successful web-hosting experience. Media Temple offers well-rated WordPress & Linux hosting, plus access to a 24/7 customer support team and a dependable 30-day money back guarantee. The perfect blend of simplicity and automation, GetResponse provides a low-cost and high-powered solution built to help smaller businesses grow their email marketing. Saatva Mattress Review: Is this the best luxury mattress around? Nextiva Review: A true all-in-one business communication platform? In all, Nextiva offers affordable business communications solutions that are flexible and connect you with services that can improve your company’s productivity and ability to nurture business and consumer relationships. Finding out more about the various services is simple with the onsite live customer service chat functions that are readily available and easy to access. Loom & Leaf Mattress Review: Quality materials + customized high tech bed = perfection? With high-quality materials, a strong warranty, and a great reputation for customer satisfaction, Loom and Leaf provides a high quality mattress at a competitive price. When used in combination with its Lineal Adjustable Base, Loom and Leaf offers a unique, highly customizable sleeping experience that is sure to please any customer. Casper advertises itself as the mattress that is not too firm, not too soft, and offers that “just right” feel. We couldn’t agree more and our tests lead us to calling Casper our top-mattress. Keetsa Mattress Review: Is this eco-friendly option your best bet? For customers who want a mattress tailored to their unique sleep needs at a highly reasonable price, Keetsa is a wonderful choice. With six varieties to choose from, everyone can find a mattress that’s an ideal fit for the perfect night’s sleep. Purple Mattress Review: Can this top-rated mattress live up to the hype? With high-quality materials, its unique smart-grid structure, competitive pricing, and sound warranties, Purple Bed is a smart choice for the savvy sleeper. RingCentral Reivew: The best value in VOIP for small business? RingCentral’s state of the art communication system for entrepreneurs makes traditional PBX equipment obsolete by offering a cloud-based system that can be set up for local, international and even toll-free numbers. Puffy Mattress Review: Do you want to start sleeping on a cloud? For customers who want to sleep on a cloud without paying prices that are sky high, Puffy is a wonderful choice. With its patented Cooling Cloud technology, quality materials, a strong warranty and trial period to ensure customer satisfaction, Puffy mattress is a wonderful choice for a fully restful night’s sleep. Doze Mattress Review: Can a hybrid mattress deliver a custom, luxury feel? Nolah Mattress Review: A discount price for a premium mattress? 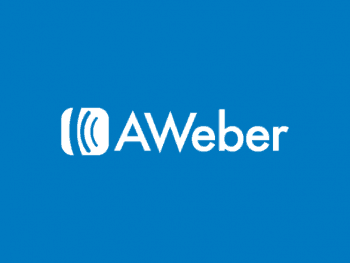 Aweber Review: Can this old-school email service provider meet your small business needs? Virtual PBX’s online systems starts with three basic, easy to understand packages that begin with two minutes-based plans and one unlimited plan. With high-quality materials, a strong warranty, and a great reputation for customer satisfaction, Nectar provides a high quality mattress at a competitive price and we highly recommend. With loads of options and upgradable features, completely transparent levels and full disclosure of pricing, this business telecommunications provider offers one of the services that is most accessible; however it also has one of the biggest price tags, especially with the per minute packages and the overage fees if you exceed your monthly limits. Mitel Review: Telecommunications powerhouse for SMBs? Grasshopper PBX Virtual Phone System Review: The best value for SMBs? Luuup Review: A revolutionary way to deal with cat litter?